Make veggies fun for kids with this box full of our favorite activities featuring veggies from peas to carrots to beans and more! Includes 6 activity, coloring, and sticker pages, 6 delicious and kid-approved recipes, 2 arts and crafts projects, 3 growing projects, and 1 board game. All supplies included. 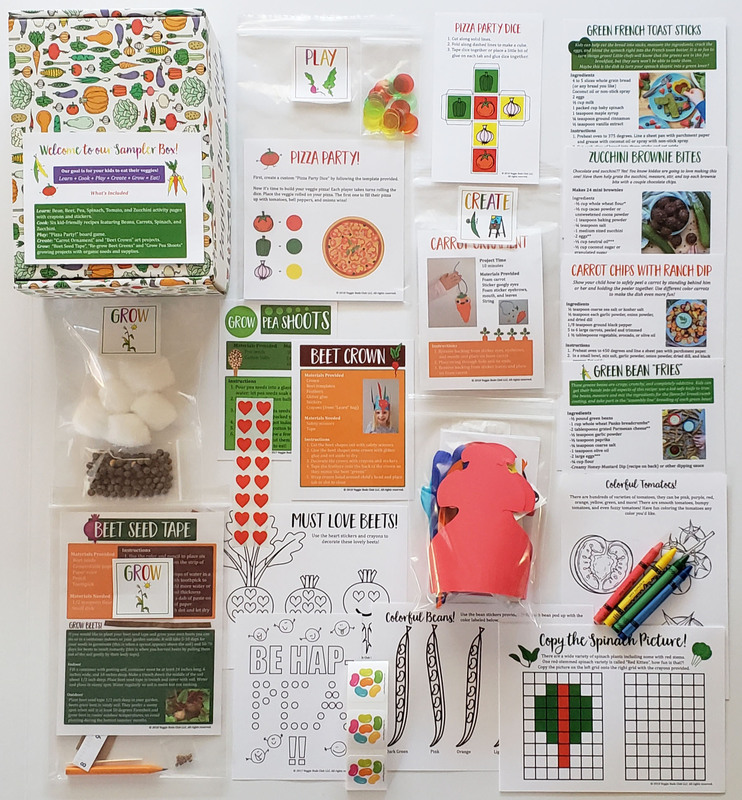 Also includes an exclusive coupon for 30% off any Veggie Buds Club or Veggie Buds Super Club subscription in case you love these activities so much that you wish to receive a fun veggie box every month!